Ever since my husband became vegan, I’ve been re-crafting my mother’s recipes, including her scrumptious organic coconut macaroons. My family doesn’t actually have much of a sweet tooth, so when I remove the dairy from recipes, I like to cut down on sugar as well. These egg-free and dairy-free cookies are made with unsweetened, finely-milled organic coconut flakes. 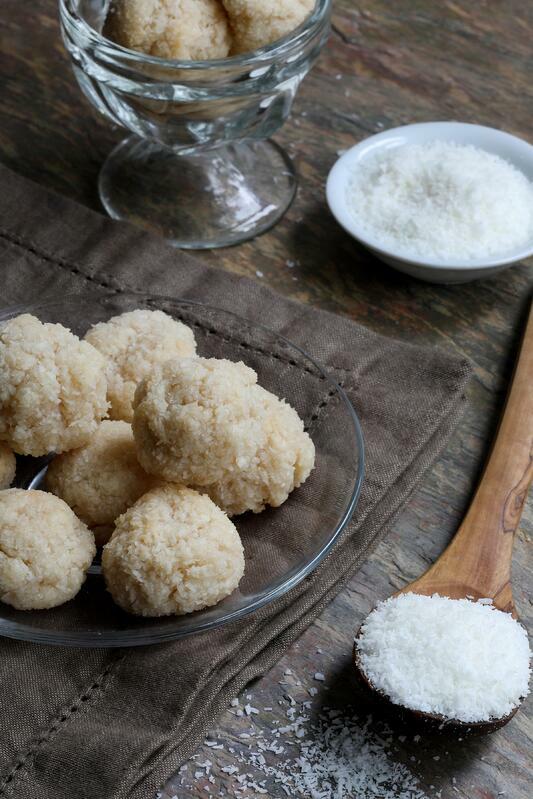 In my experience as a macaroon maker, I’ve found that smaller coconut flakes help minimize the amount of flour needed and maximize the amount of delicious coconut flavor. They’re perfect for any occasion! Enjoy this vegan macaroon recipe on its own, rolled in chocolate, or along with other vegan bites like these salted chocolate cookies. I personally enjoy these macaroons with organic Mango Ceylon Tea, which I brew chilled and with a touch of a honey. The fruity flavor of the tea complements these nutty delights in the most satisfying way. Hope you enjoy! Makes about two dozen macaroons. In a medium bowl mix sugar, non-dairy milk, brown rice syrup, vanilla extract, and salt. Add shredded coconut to bowl and mix. Slowly add all-purpose flour. Mix until well combined. Form mixture into 1-inch balls (a very small ice cream scoop works well). 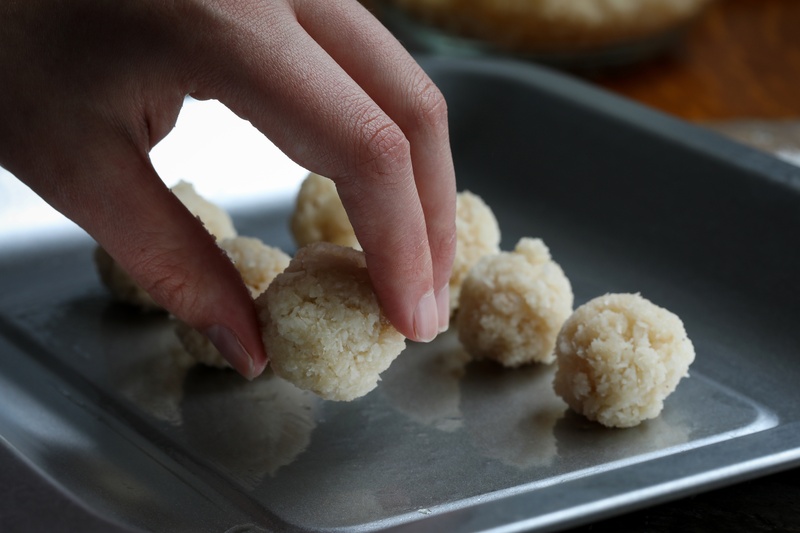 Place balls on lightly oiled baking sheet (or sheet lined with parchment paper). Bake for 10 minutes on center rack in oven (or until bottoms have lightly browned). Store macaroons in covered container at room temperature for 1 week or in freezer bag in the freezer for 3 months. 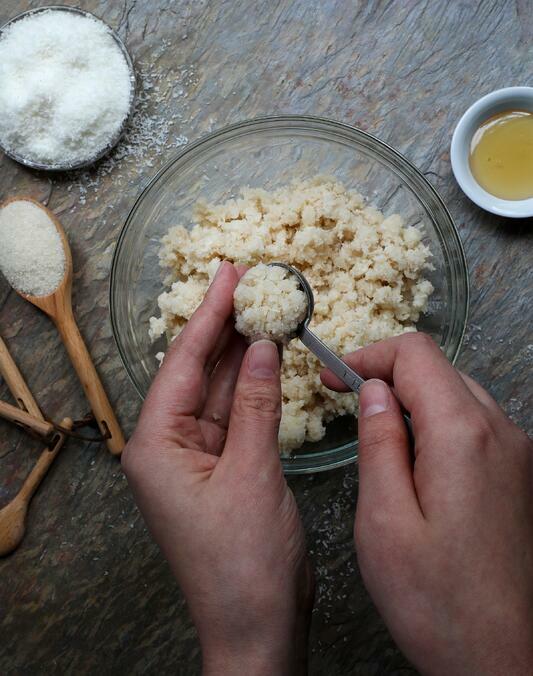 For true sugar minimalists, reduce sugar to one half cup. Once you add the flour to the rest of the ingredients, you may need to mix it with your hands because the dough will be thick and tough to mix. These macaroons don’t flatten during the baking process. If you prefer to leave your macaroons as balls, leave them intact on the baking sheet in ball form. If you have multiple racks in the oven at one time, switch the baking sheets on the racks halfway through the baking time. The bottoms of the macaroons will burn easily if overcooked. Looking for more delicious vegan bites? Make Our Gluten-Free Dairy-Free Chocolate Cookies! Carol started out in our Customer Service office after more than eight years in the social services field, making her the perfect candidate for our Director of Human Resources at Mountain Rose Herbs. Her role goes beyond simply screening applicants and conducting interviews. Carol stays intimately involved with each of our departments to ensure that we meet the needs of our bustling organization while better serving our staff and customers. Carol's good humor and her lighthearted command of common sense are influenced by sharing a home with five geriatric cats. 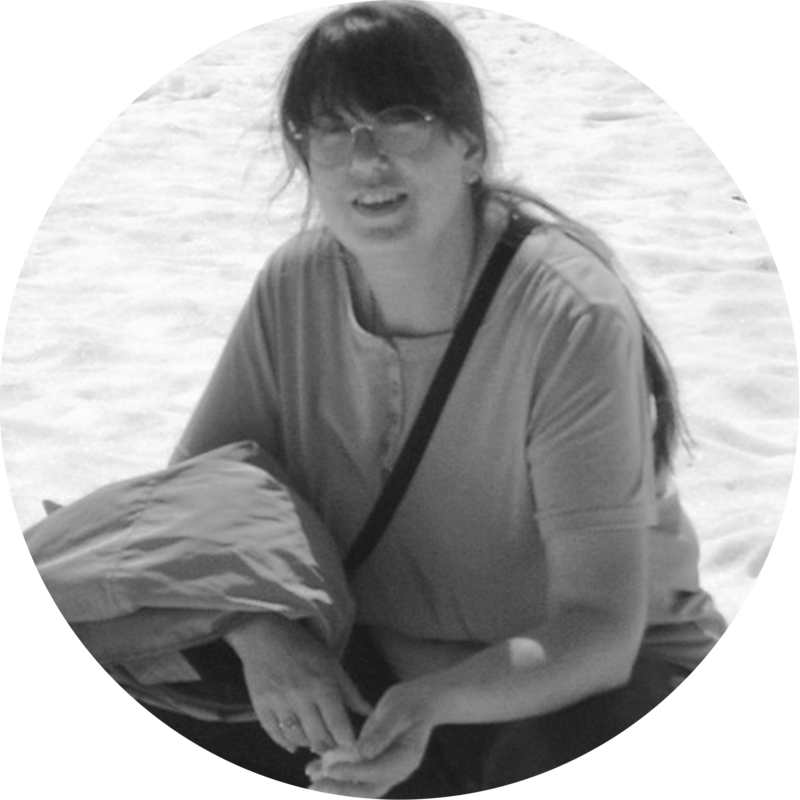 As an herbalist, Ceremonialist, ordained minister, and gardener she has fostered a profound appreciation of the "Old Ways" through her work with her Elders and has developed a closer connection with her Celtic and Native American heritage. She also has a weakness for neurotic kitties, bad puns, triple shot lattes, and chocolate.